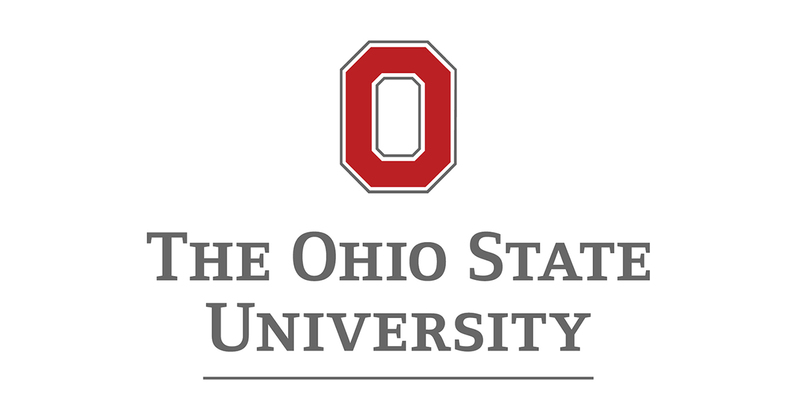 Our own Michael Matthews spent the day at OSU June 7th showing how the next generation of compact spectrometers are enabling new applications, both in theory and hands-on. 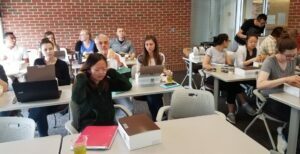 Attendees of the lunch & learn included researchers from the Food Safety and Agriculture groups, Chemistry, BioChem, and BioMed groups, who noshed on sandwiches while learning about the applications spectroscopy serves in fundamental and applied research labs. But the fun didn’t stop there. We had 3 working probe-based Raman systems on hand to allow attendees to test which wavelength would give the best signal to noise for their application: 785, 830, or 1064 nm. A 4th, free-space 1064 nm Raman system took the challenge a step further by showing the signal improvement that an integrated system can offer for many applications. 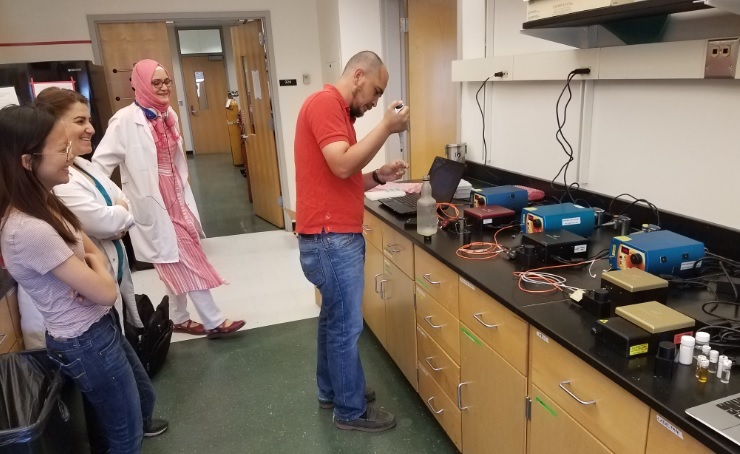 More than a dozen attendees took advantage of the opportunity to run samples, which made for an exciting afternoon of Raman spectroscopy. Thanks very much to the Rodriguez Lab for coordinating this great event! Would you like to see this lunch & learn at your facility? Contact us! Compact, fiber-coupled spectrometers have greatly expanded the practical applications of spectroscopy and reduced its cost, from analysis of pharmaceuticals to food safety/ authentication, biomedical instrumentation, and more. Wasatch Photonics takes that flexibility even further by providing >10x greater sensitivity, better SNR, and faster measurement times. In this talk, we’ll show you how our designs achieve that sensitivity and how we measure up – including a limit of detection comparison to a benchtop fluorimeter! We’ll show you some of the many applications we’re enabling in research and industry with our Raman, absorbance, and fluorescence spectroscopy products, from the UV to NIR.